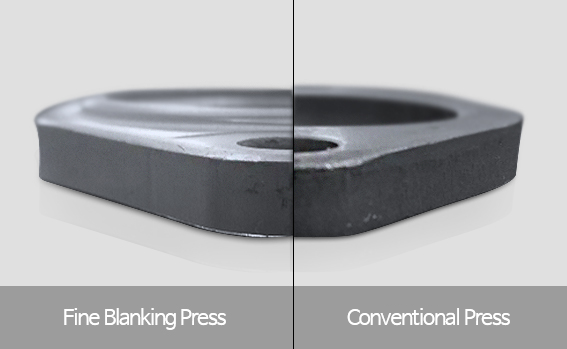 Your best partner with advanced Fine Blanking technology. 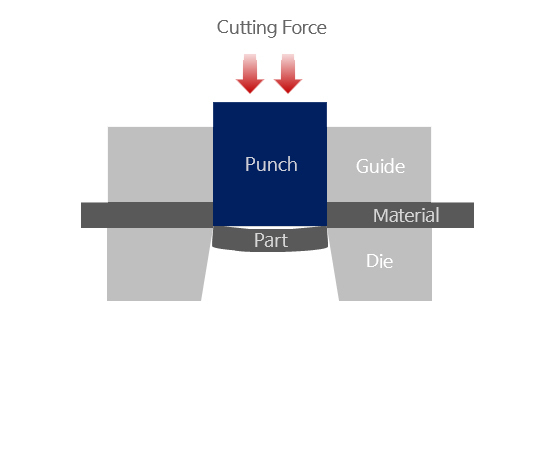 The sheared part by conventional blanking shows a surface with tear-off. However, when we apply Fine Blanking technology, the sheared part shows a clean cut surface with no tear-off and scars. It can control the flexibility of materials by forcing entire surface. 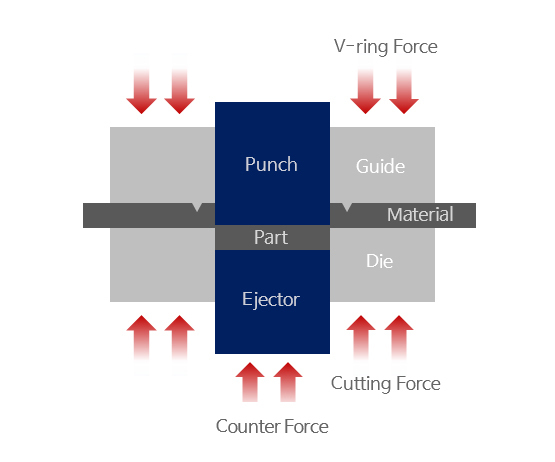 Fine Blanking can produce the parts with superior features in surface roughness, tolerance, flatness and position. As a result, using Fine Blanking technology can reduce the cost of secondary operation and increase productivity with high quality products.